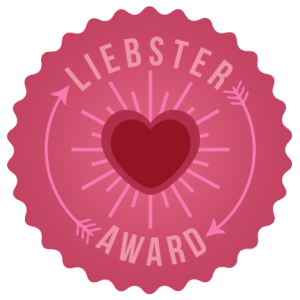 Thank you Kelly Lynne for the Liebster Award nomination, it makes me so happy that you nominated me! Your questions have been super fun to answer! 1. Answer the questions given and then come up with 10 new ones to ask your nominees. 2. Nominate 8 other blogs, let them know you have nominated them and put a link to their blog in your post. 4. Nominees must have under 200 followers on any platform. 5. You must tell all the blogs that you nominate that you have nominated them. I began blogging as I wanted to connect with like minded people. I love my friends to bits but not many of them can tolerate me blabbing on about food, running, fruit etc. for hours at a time. My blog is my way of sharing my ideas. When I discovered the benefits of a plant based diet it was like this huge mind blowing moment for me. It was asif the proverbial penny had dropped. Like I had discovered this panacea and I just had to spread the word. I felt this overwhelming urge to share what I had learnt with people. I avoid the topic of diet and veganism when conversing with people unless they specifically ask me about it as I never want to impose my ideas on other people. I wanted to spread a little joy too, I try to keep all of my posts positive, fun and light hearted – because I believe life should be fun and filled with laughter and light. There is way too much seriousness and negativity on the internet! 2. Name one thing that makes you happy. I can’t think what my one favourite quote is but I am reading Women Who Run With The Wolves right now and I like this one – there are so many good ones in the book though..
Go out in the woods, go out. If you don’t go out in the woods nothing will ever happen and your life will never begin. 4. Where do you come from? A tiny sleepy seaside town in the North of England. 5. Name your top five favourite blogs. 6. What or who inspires you the most? Wow, so many people inspire me. My friends obviously because they are amazing. A lot of people I have met recently have been very inspiring. I like to surround myself with people who encourage my light to shine. Nature inspires me to want to go outside, at the moment all I want to do is be outside. I was running with my friend last night, on my usual route and we had this absolutely perfect moment. It was dusk, the river was still and had some amazing reflections dancing in it. I looked up ahead I saw a deer. It was so silent and graceful. It ran ahead of us for quite a while before it disappeared into the bush. If you know me at all you will know I am obsessed with deer because I am a fawn and they are totally my spirit animal. That moment was magical and it inspired me to want to run again. Other bloggers inspire me daily – I see so many amazing food posts I want to make them all! I am inspired by a lot of female ultrarunners at the moment. The people I am currently fangirling are (in no particular order).. Rory Bosio, Anna Frost, Emelie Forsberg, Jenn Shelton, Ruby Muir. 7. If you could invite three people (living or dead) to dinner who would they be? Anton Krupicka, Angus Stone, Micha True. 8. What is your favourite social media: Facebook, Instagram, Twitter, Pinterest or other? 9. What is your favourite post that you have written? Include a link. This One because I loved sharing my experience with you. 10. What is the hardest thing you’ve found about blogging? Blogging regularly, as I am sure you are aware. I have managed to keep on top of Vegan MoFo and I am having so much fun doing that! What would be your ultimate breakfast? Which season is your favourite and why? If you were stranded on a desert island what three things would you take? Tell me your last dream? Do you have a favourite mantra? I hope you like the questions! Great quote! It’s new to me.